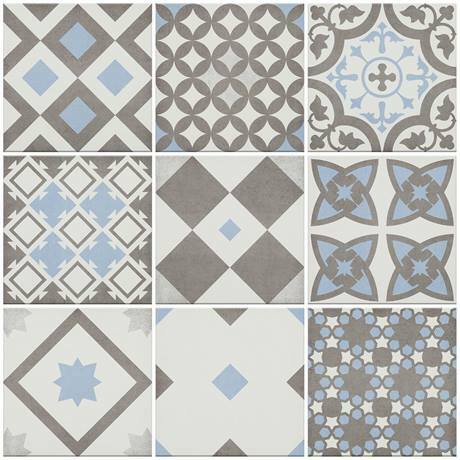 Step inside your dream bathroom everyday with Alison Cork Light Blue Patterned Wall and Floor Tiles. Featuring stunning geometric patterns, each tile is crafted using high quality porcelain and suitable for use on walls as well as floors. These patterned tiles, which consist of 9 individual designs, have been handpicked by interior designer Alison Cork, to feature in her Scandi Retro collection. Alison says, "These gorgeous tiles are a key part of the Scandi look – artisan in style and full of character, they add colour and interest to this informal and relaxed bathroom design."